Bottle Rockets are a new explosive item heading to Fortnite: Battle Royale! Our Fortnite Bottle Rockets Guide will go through all the information you'll want to know behind this new addition to the game. 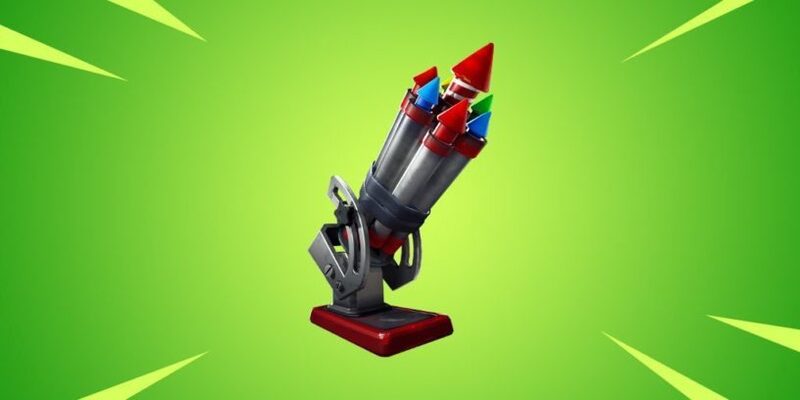 We'll take a look at damage, stats, and how-to use this explosive new item. The Bottle Rockets that have been added to the game as an item appear to be mainly for knocking down structures. They don't do much damage to players and even if they did it would be extremely random if you could actually hit someone. You'll have to practice with these a bit to get used to the distance they fire if you plan on actually using them. It seems like a decent distraction option that can be thrown and allow for you to flank or to close the distance on an opponent. The Bottle Rockets were released on February 5th, 2019 in celebration of the Lunar New Year. You can find Bottle Rockets in Floor Loot, Chests, Vending Machines, Supply Llamas, and Supply Drops. They drop in stacks of 2 and you can hold up to 6 of them. Bottle Rockets do 10 player and 40 environmental damage per explosion. When it is placed, it will fire off 45 rockets at varying speeds randomly within a cone for "roughly" 9 seconds. While you can have 6 in a stack, you can only have two active per player.